Once you’ve chosen the colour that best suits your shop interior its time to look at the key functions. The first instinct is to reckon that the SE-S100 is a SE-G1 on a large base. This would do the new model a great disservice. Like the SE-S10 and SE-S400 the SE-S100 does feature a full size lockable cash drawer with space for all 8 coin types and 4 note holders, but the range of features on the SE-S100 put it far ahead of not only theSE-G1, but also the Sharp XE-A107, and the Casio SE-S10 cash registers. The SE-S100 has several advantages over these models, making the additional £20-£30 cost over the SE-S10 well worth the investment. First of all the SE-S100 has 12 sales department buttons compared with only 5 on the SE-S10. Each button can be programmed with a description and price (if necessary). When the button is pressed the description and price appears on the receipt and operator display. With the shift key the number of departments is easily increased to 24. There is also a PLU button enabling you to program and sell up to 2,000 different PLU’s. Probably the biggest advantage the SE-S100 has over the SE-S10 and other cash registers of this class, is the SD card back up feature. This allows sales data to be uploaded from the till and viewed on a PC. Moreover, if you have multiple till points once you have programmed your first cash register you can make a copy of the program to your SD card and then use the card to program all the other registers – saving time and money! 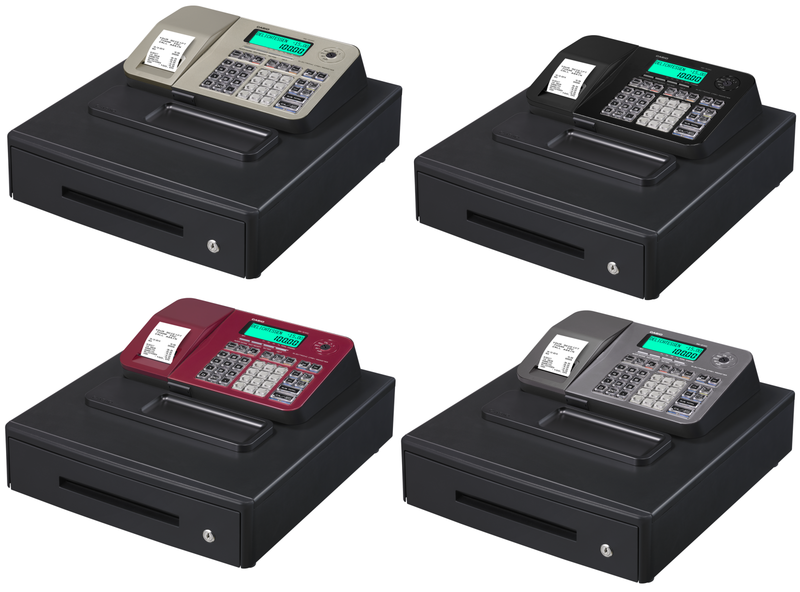 The SE-S100‘s are bright, functional easy to use cash registers and for the prices advertised online represent a worthwhile investment to any start up retail business. The only slight downside we can find is that their is no barcode scanner connectivity and we would prefer the cash drawer and base to be metal, but for the money the SE-S100 represents excellent value. For a full run down on the key features and for the best prices in the UK please visit our SE-S100 website listing.